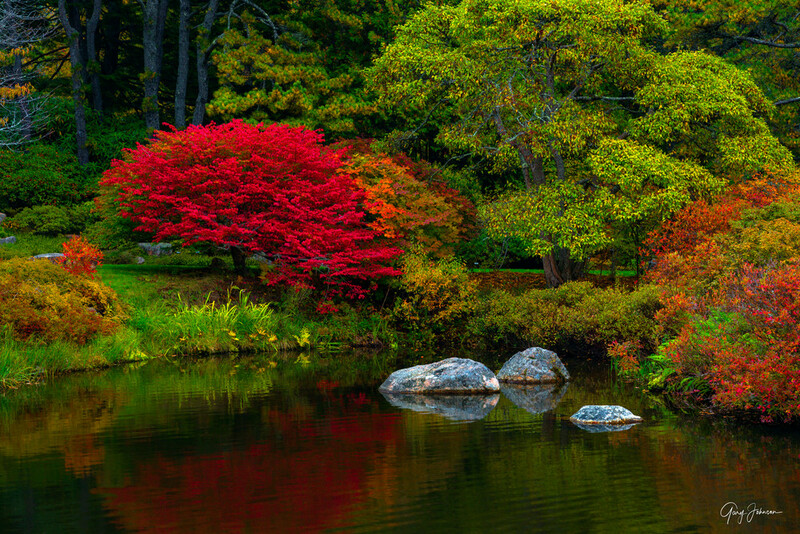 I photographed "Burning Bush" during a fall trip to the beautiful Asticou Azalea Garden on Mt. Desert Island in northern Maine. The gardens were immaculate! As we walked in, a care-taker was carefully sweeping off litter that had fallen from a nearby tree. The incredible, red bush in the picture is called "Burning Bush". We saw it in many locations around Acadia National Park. I loved the reflections on this beautiful pond.